I noticed Sprint was offering the MiFi card for free via an online promotion, and then decided to go to a local store to pick up the card for instant gratification. When I was at the store, the clerk would not match the online promotion and wanted to charge me an activation fee. I got on the phone with Sprint customer service and told them I had an expiring contract and wanted to cancel. The representative was very nice and offered me an upgrade to another data card. I told the rep I wasn’t interested unless I can get the MiFi card, and keep my existing unlimited data plan; new customers buying the MiFi card service are limited to 5 GB. The representative put me on hold for a minute, and eventually got approval to send me the new MiFi card. 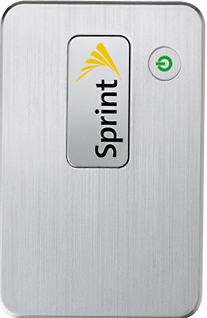 If you currently have a Sprint data card and you have an expired or expiring contract, just call Sprint customer service and inquire about an upgrade to the new MiFi card. If your current data plan has unlimited data, do not accept any new data contract; tell customer service you want the same deal. Otherwise, they will try to put you on the new agreement which has a 5GB data transfer limit.